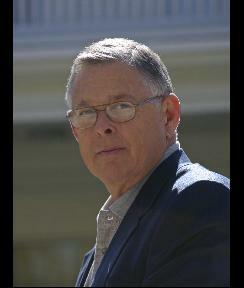 Jack Harpster is the author of four personal biographies and two institutional biographies. His The Railroad Tycoon Who Built Chicago: A Biography of William B. Ogden (Southern Illinois University Press, 2009) was recently granted an Award of Merit by the Illinois State Historical Society as an outstanding scholarly book written by a non-professional academic or historian. His other personal biographies are King of the Slots: William “Si” Redd (Praeger, 2010), a business biography; Captive! The Story of David Ogden and the Iroquois (Praeger, 2010), an exciting true story from the Revolutionary War, originally recounted in a pulp fiction pamphlet in 1840; and John Ogden, the Pilgrim (1609-1682) A Man of More Than Ordinary Mark (Fairleigh Dickenson University Press, 2006), about the leading founder of the Colony of New Jersey. His institutional biographies are 100 Years in the Nevada Governor’s Mansion (Stephens Press, 2009); and Helping Hands, Helping Hearts: The Story of Opportunity Village (Stephens Press, 2007). Harpster has also published articles in Travel & Leisure, Nevada, Nevada in the West, and The Writer magazines. Harpster spent 43 years on the business management side of the newspaper industry in California and Nevada before retiring in 2002. He currently lives in Reno, Nevada.